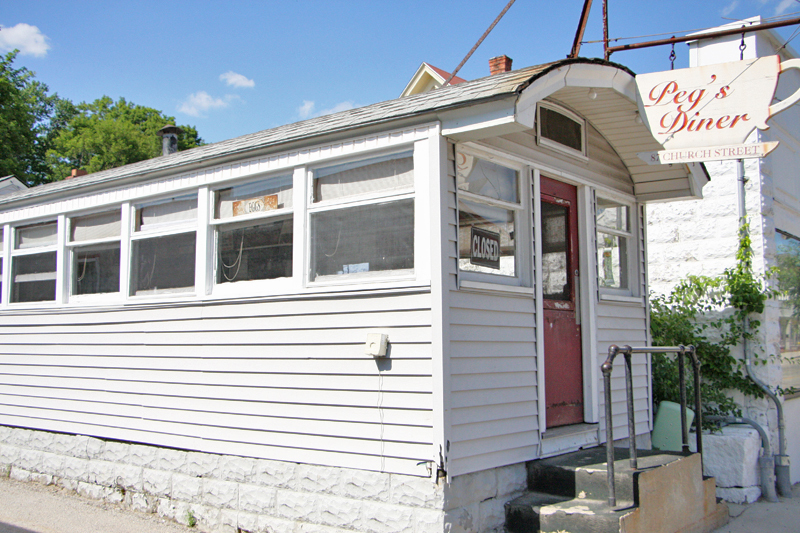 I know many people who live in Whitinsville and don’t realize that they have an authentic Worcester Lunch Car Diner right in their midst. 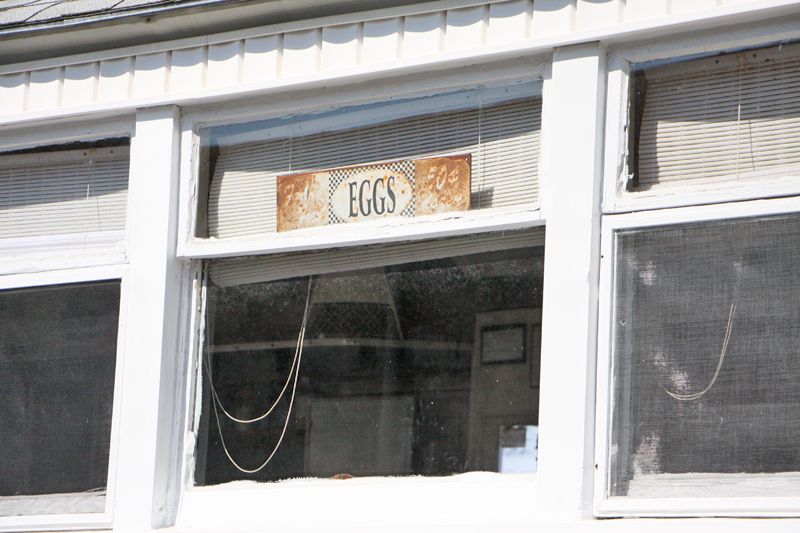 That’s because Peg’s Diner, even though it’s right downtown, is jammed end-forward in between a building and an alley. If you walk fast you wouldn’t even notice it’s there. That’s really all the space it has. It’s facing the street and my back is up against the next building to its left. There’s barely enough room for a SmartCar to drive down alongside it. 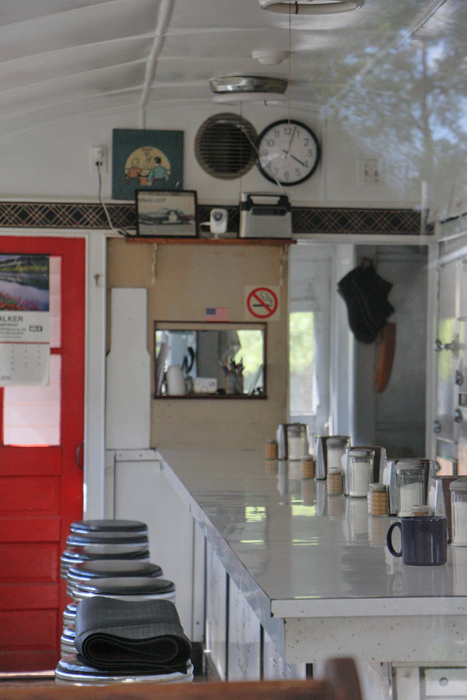 Peg’s Diner is TINY. Only Casey’s Diner with its ten stools and no booths at all seems smaller to me. Peg’s has black vinyl stools and it does have two booths, one on either side of the front red door. In this image we’re looking over the left-hand booth. Another view over that left-hand booth. 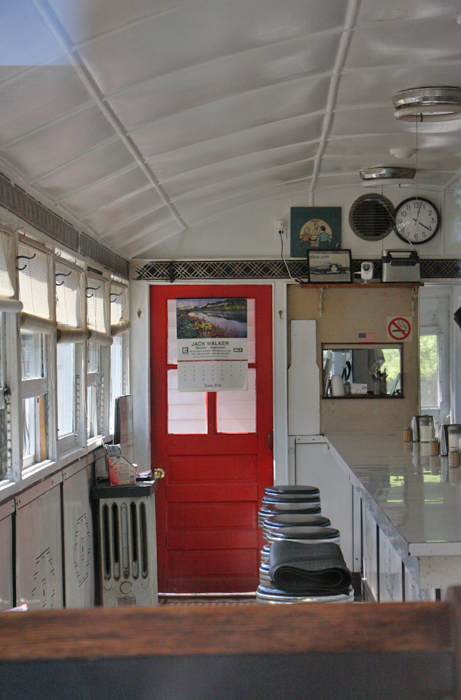 Peg’s Diner was built in 1936 and is Worcester Lunch Car Diner #723. It’s gone by many names over the years. Whitin Machine Works. 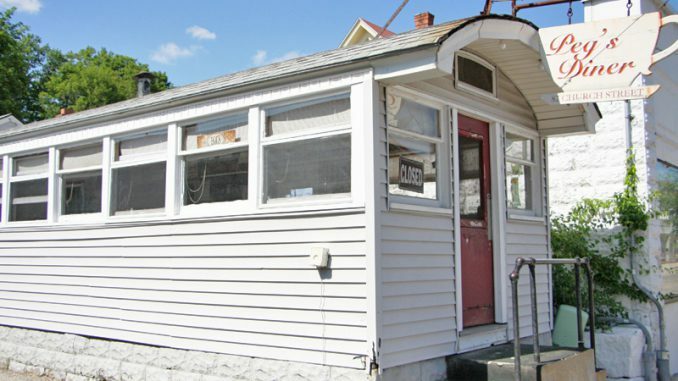 Pat’s Diner. Sully’s Diner. Barbara’s Place. 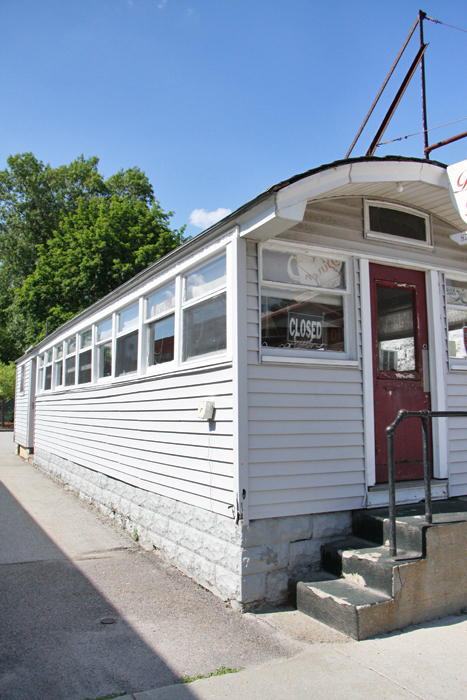 87 Diner (it’s located at 87 Church Street). The decor maintains its classic look. I love how this image looks as if steam is coming up off of the coffee cup. 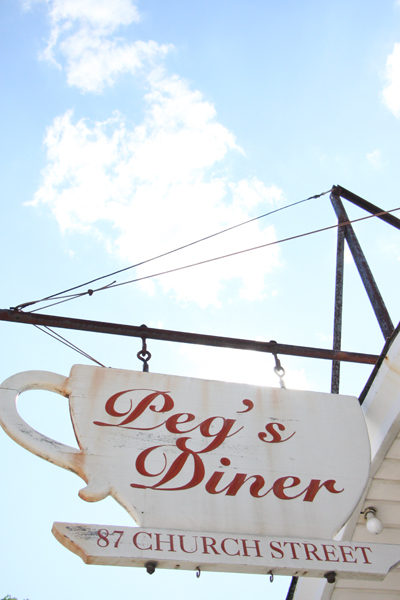 Stop by Peg’s for a taste of history!